Loneliness drives an agoraphobic shut-in to write a letter to the girl in the apartment across the hall, trying to strike up a friendship. Unfortunately, a series of apocalyptic events interrupt this attempt at human contact. Now he watches out the window as the world gets cut to pieces by plague and riots. There are even rumors of zombies. Getting to know someone could be harder than he thought, let alone surviving in a post-apocalyptic wasteland. He might even need to leave the apartment. There are so many good things going for this book. With 99.7% of the Earth's population dead and gone, the few who remain struggle to survive in an empty world. The scattered. The leftovers. These are their stories. Meet Mitch, a father infected with the zombie virus. He knows he has 24 hours until he turns. Maybe a little more if he's lucky. He's been a half-assed father. Checked out. Distracted. Can he find a path to redemption in his final hours? Can he make sure his kids are taken care of before time runs out? Meet Travis, a 23-year-old wimp who ran away as his parents were murdered by raiders. Now he surrounds himself with towers of scavenged booze and prescription pills. He only wants to numb the pain. Then he comes upon the men who killed his family. Now he has a choice. Meet Erin, a 16-year-old girl taking care of an eight-year-old orphan. Six months ago she was worried about prom. Now she worries about zombies and raiders and feeding a little girl. Meet Teddy. Meet Baghead and Delfino. Meet Rex and Ray and Lorraine. Meet the utterly lost who look for meaning in humanity's fading glow. Seems like I just kept waiting for things to happen in this story and it never really did. The story jumps around from just before the outbreak to many years after offering different perspectives of various characters. It was a long listen and for me there was no payoff. As you can tell by the listing above, the book is not linear. It tells different people’s stories with very different starting points. For example, Baghead’s story begins over 9 years after the event while Mitch’s story begins 43 days before. This was the hardest part of the book for me, the chronology. My inability to keep the chronology straight was a very minor downside for me. The story was wonderful. There were characters like Erin and Mitch that I connected with. And then there were characters like Teddy that made me want to jump into the book and warn the other characters to avoid him at all costs. The ages of the characters vary also from children to middle age. The situations that characters exist in are not static. Some characters are perpetually moving, either for foraging or for unknown reasons. Some are hunkered down and just trying to survive for as long as they can. The undead are not the worst monsters in this book. I think the authors do a great job of painting the human monsters in vivid colors. In fact, I can readily visualize some of those human monsters living here in the United States, now, without the apocalypse to create them. As I said in my review of Book 0.5, the authors have created a post-apocalyptic universe that feels different than many of the other I have read (and I have read many). 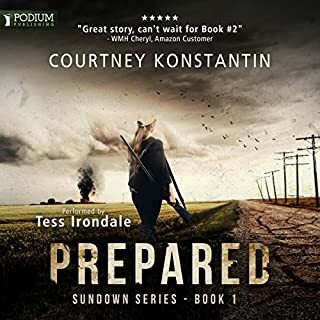 If you like the post-apocalyptic genre, this is a great series. Even if you are not a zombie fan, you will still like this series. The zombies are only one part of what drives this book. 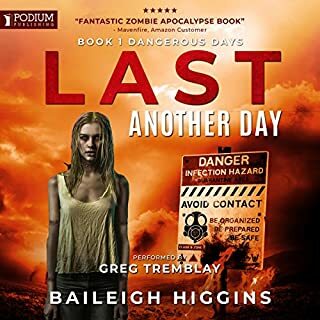 The Audible version of Book 0.5 was fabulous and so is Book 1 also with excellent production values. 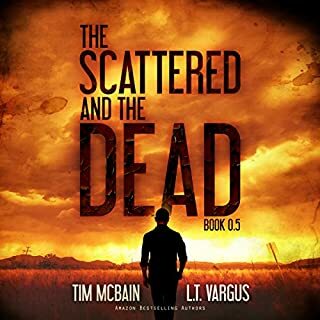 The clear strong voice of the narrator of Book 0.5, who happens to be one of the authors, also narrated Book 1 with the other author, L. T. Vargus. 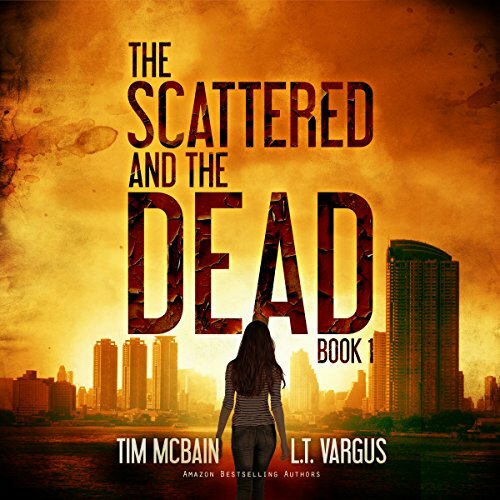 Tim McBain and L.T. Vargus did a fantastic job narrating the book. They both have pleasant voices to listen to. Perhaps having authored the book helped in their ability to narrate it so well. They did not seem to be reading it as much as telling it, as one survivor after another shared their story with the listener. It makes for a very intimate narration. At first blush Scattered is all over the map; the characters are mostly pathetic losers, the situations are unremarkable, there seems to be no point or direction to the story and the narrative bounces around in time and location for no particular reason. YET somehow it gets under your skin. The characters gradually become interesting and their stories eventually take on life worth listening to. I was at first annoyed but ended up enjoying the long lead in to the appearance of any zombies. In Scattered, the world crashes in super slow motion, power goes out and returns, while there is rioting in one area - people are out shopping for designer shoes in others. Some people figure things out and try to flee while others try to continue on with their routines. A bag headed guy in the future wanders the wasteland trying to escape assassins (what is that all about?!). Like a David Lynch piece, the story is simultaneously in chaos and stuck in the rut of a dark normalcy. If you are a fan of the genre, Scattered is a different take and worth trying to assemble. I'm baffled that so many people found this novel appealing. I've read my fair share of zombie lit, so I can say with some authority that this book just doesn't rank. First, the timeline was annoyingly vague - 69 days after, 28 days before, 9 years after...after/before WHAT? The plague or the EMP? And of course, each character had a different timeline. It was confusing. Second, awful construction: overuse of similes, scatological references - (paraphrasing) "...like the sound of a plunger in the toilet...," and myriad unnecessary gross-outs regarding body processes (there was a detailed description of urination early in the book). Third (and worst of all), poor narration. I didn't realize until just now that the authors narrated the book. So I say respectfully that Mr. Bains didn't enunciate and Ms Vargas' voice lacked emotion. When you're listening with earphones (as many Audible customers do), it's grating. This was the official book 1 to the series. Book 0.5 was good as well but this works well as a stand alone. This is a great compilation of a few different people's experiences in the apocalypse. 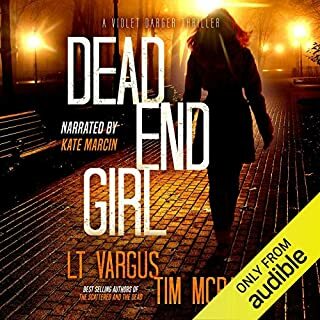 I am so happy L. T. Vargus decided to join in the narration in this book. Tim McBain did a great job with book 0.5 but I think it is much better with the 2 of them. Not many authors can do a decent job of narrating their own books, but these 2 do a great job! Looking forward to book 2! 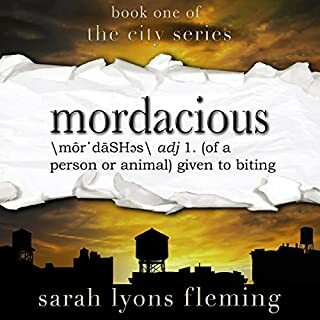 After reading, and loving, the ebook of this story, I was so excited for the audiobook! McBain narrated the 0.5 book, so I assumed he would be voicing this as well. I was pleasantly surprised to find out his co-author was duet narrating this one! It's so nice when an author also has a great voice. These two are awesome! I just hope they never give up writing to do voice-overs. If you like zombies, huge, epic sagas, and having your mind toyed with, you'll LOVE this series! Started off kind of slow, but it was so well written. .. it kept me glued in. Once the action picks up... it turns into a really good book imo. Seriously this team writes amazingly. And they are great narrators as well. Some of the best stories in this genre. I loved how the tale bounced through time and kept you looking for connections. I kept waiting to see how they'd cross paths. Some of this book is really interesting, some of its sad and some I had to skip through. I hope to find out what happens to the characters in the next book. It's a good read. I got this when I read the reviews comparing it to The Stand, one of my favourite books. Disappointed to find it is not in the same class. I have tried to get into it a few times now but with no success. 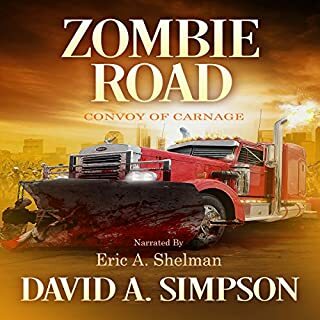 Was an interesting story, no zombie action at all, but the ending was flat and disappointing, maybe there’s another book?